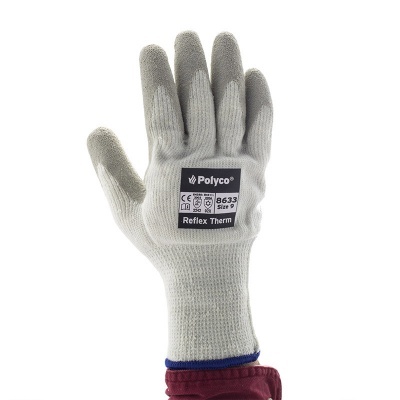 The Polyco Reflex Therm Fleece Lined Work Gloves 8632/8633/8634 are the ideal all round work glove. 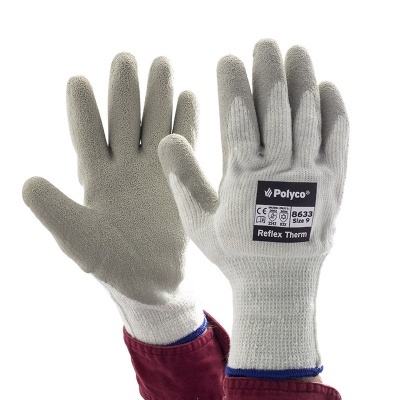 They offer protection from abrasions, scratches and cuts, are extremely comfortable to wear and include a crinkle latex grip which means that they perform well in wet, dry, inside or outside environments. 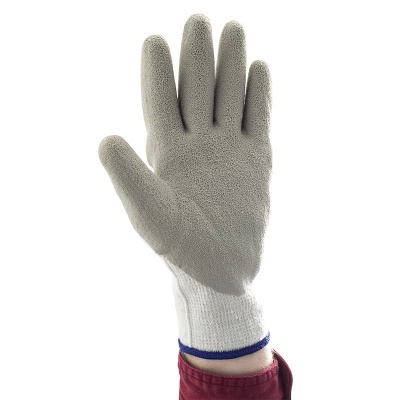 The Therm Fleece Lined Work Gloves are available in three sizes that should suit the hands of most users. Please measure the circumference of your hand around the knuckles (excluding the thumb) with your hand open and your fingers together, and the length of your hand from the tip of your middle finger to your wrist.